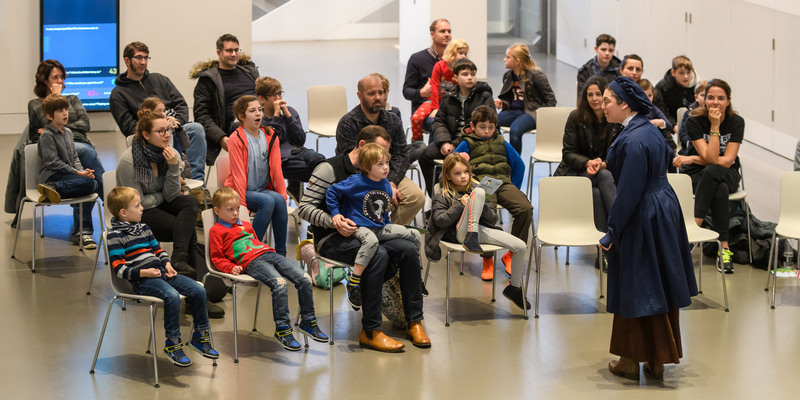 Join us for a series of family-friendly performances, telling the stories behind Christmas postcards sent by soldiers and their loved ones during the First World War. In the First World War a wide range of new postcard designs sprang up suitable for ‘Tommies’ in the trenches to send to family at home, and for families to send to their loved ones fighting on the front line. Come and meet a card designer as we explore original postcards sent back and forth between home and the front line during the First World War. Sessions start at 11am, 1pm and 3pm. Drop-in family events are subject to availability on the day. Children must be accompanied by a responsible adult. Here we look at some of the Christmas cards sent by soldiers during the First World War, and how they helped ease the pressures of life on the front line. Soldiers throughout the First World War found ways to maintain morale and mark the festive season while separated from their loved ones.